You gotta think light and compact whenever venturing out into the great outdoors, and the Sea to Summit X-Pot series gives you just that. 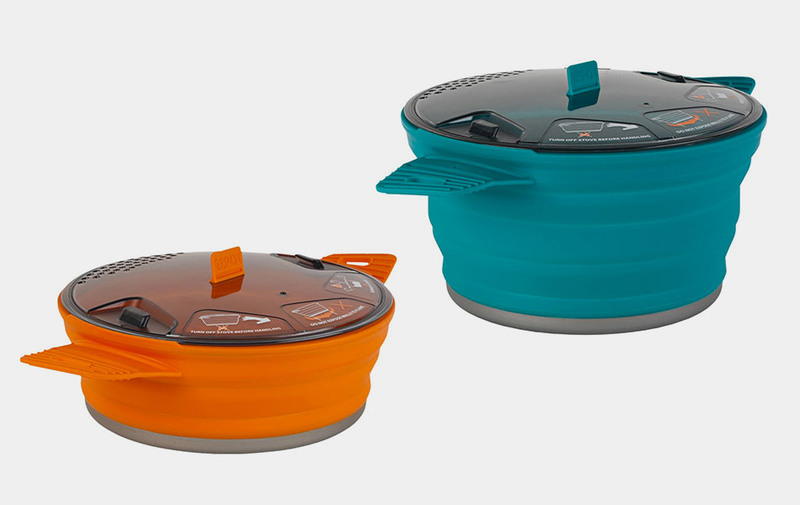 A cooking pot that combines the heat-distribution of aluminum with the flexibility of silicone, it’s a full-sized pot when you need it and stacks down to an inch-tall disk for easy and hassle-free carrying. It features a hard anodized aluminum base for fast boiling times, a stainless steel ring embedded in the rim for easy lifting and stirring, and a clear locking lid with an integrated strainer.